[Fixed] MU Legend Second Closed Beta Giveaway - 3K Codes for You! 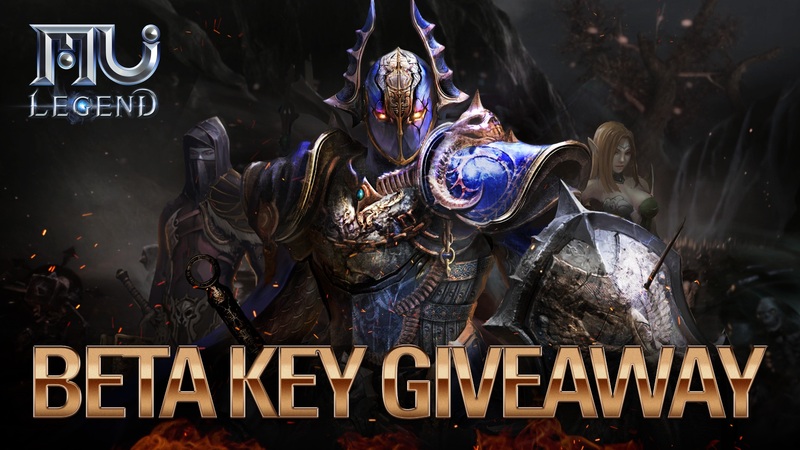 [Fixed] MU Legend Second Closed Beta Giveaway – 3K Codes for You! It appears that the codes weren’t working properly, so Webzen provided us with another batch of 3K beta codes for MU Legend. All claims have been reset, so you can try again now and the codes should work. Let us know in the comments! We’ve partnered with Webzen to bring you 3K beta codes for MU Legend’s second closed beta test, due to begin on February 21st. Powered by Unreal Engine 3, MU Legend is a hack ‘n’ slash MMO that aims to repeat the worldwide success of MU Online. You can find the full feature set below, alongside the most recent trailer. The system requirements are really quite low, so you won’t have any trouble running the game as long as you’ve got a PC built in the last four or five years. Visit the website and access the “Redeem Beta Key” page, located here. Log in with your Webzen account, or a create a new one. You might need to verify your e-mail address. Directly from the start, MU Legend empowers its players with an extremely action-driven and fast-paced gameplay experience, in best hack ‘n’ slash tradition. Unlike most current action RPG games, all classes in MU Legend possess powerful area-of-effect skills right from the start, making levelling a truly thrilling and satisfying experience for players of all levels. While enabling every player to feel powerful from the very first level, MU Legend continues to evolve the player’s gameplay experience by offering deep and sophisticated character and skill customizations. Players utilizing these customizations can embark on their own journeys, whether they want to be a lone-wolf boss killer or a party’s greatest supporter. MU Legend naturally enables its players to have unparalleled freedom of customization in its vast range of PvE and PvP content. PvE-driven players will enjoy a great variety of features, which will accompany them throughout their journey. From procedural solo & group dungeons to legacy MU content such as Blood Castle & the Endless Tower, players will be spoiled for choice when it comes to hunting for the greatest gear. PvP enthusiasts can prove their mettle in a huge selection of PvP modes. Players can show off their skills in duels, group battles in Altar of Spirits or, most challenging of all, in guild competitions. All PvP modes come with standalone content and detailed ladder systems, so players are encouraged to take on the world!